A two-CD set, recorded over three evenings at the sacred Yakushiji Temple in the ancient Japanese capital of Nara, Kitaro reprises compositions from earlier albums, plus his Golden Globe Award-winning theme to Heaven & Earth as well as two previously unreleased tracks. All the drama, grace and humanity of his usual offerings are here with the added immediacy of the live recording and the profound spirit of the Yakushiki monks who also appear on the previously unreleased track, "Wa". With sweeping synthesized sounds, Native American flute, Taiko drums, nature sounds combined with Western instrumentation, this special offering from Kitaro is a journey to inner realms of exotic earthly destinations. 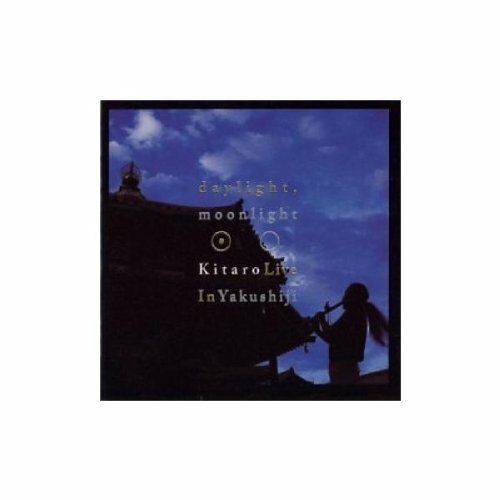 Domo Records presents Daylight Moonlight: Live at Yakushiji as a Super Audio CD Hybrid disc. Using a sampling frequency 64 times higher than that of a CD, this Super Audio disc offers an exceptionally pure and natural sound closely reproducing the analogue waveforms of the original master tapes. This Multi-channel 5.1/Stereo Mix provides the ultimate sound when played on an SACD player and offers normal playability on any existing CD player. If you have any questions about this product by Domo Records, contact us by completing and submitting the form below. If you are looking for a specif part number, please include it with your message.